All runners receive a medal. A team is comprised of 4 or more runners. 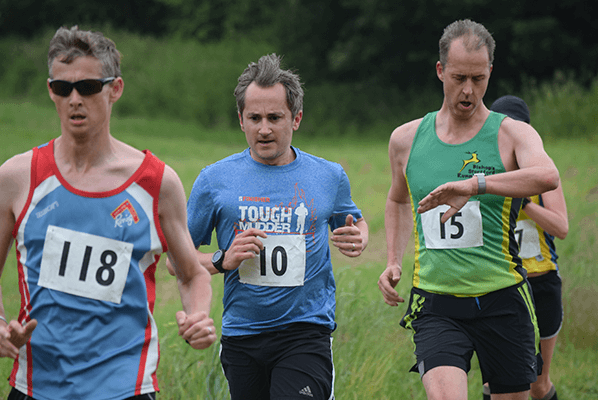 The fastest 4 times will be counted towards the overall team finishing time. 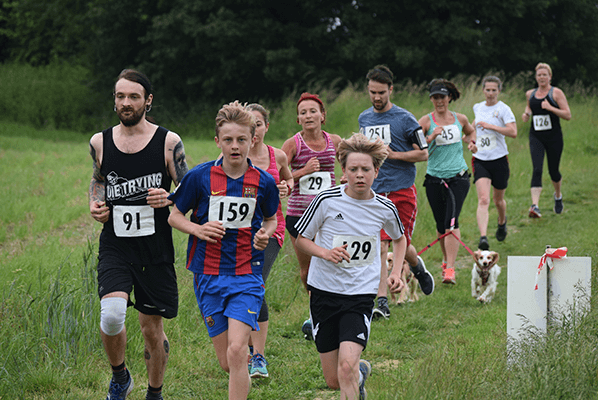 1 mile run for all ages and abilities. 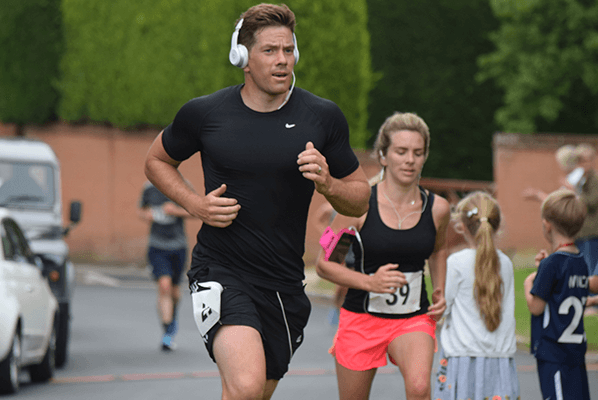 10k Fun Run and Walk. Beautiful, challenging route, across normally inaccessible private land. Car parks can be found at Crafton Green (approx. 50 spaces) and Pond Lane (approx. 30 spaces). Later arrivals can park in the field at the top of Bentfield Causeway. Raffle, sports massage, coffees, ice creams, face paints and more on the Green from 10am. Drinks at The Rose and Crown pub, plus hog roast and BBQ, live music and bouncy castle from 12pm. Secure, free bag drop is available in the Rose and Crown car park from 9am. TBA – watch this space! Portaloos are available on the Green and there are also toilets for use by runners in the Rose and Crown. 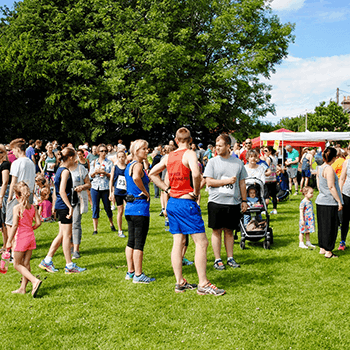 All runners can limber up before the race with our fantastic warm up at 10.30am. The Huw Johnson Club is a social group for adults with learning disabilities. They meet every Thursday evening (term time) in St John’s Hall, Stansted from 7 - 8.45 pm. A wide range of activities are held - from bowling and craft nights, to discos, pub trips and special-guest-evenings, offering activities which are appropriate for those with a range of abilities. Grove Cottage in Bishop’s Stortford, provides social and educational activities for people with learning disability, to develop their potential, create lifelong friendships and provide respite for their families. 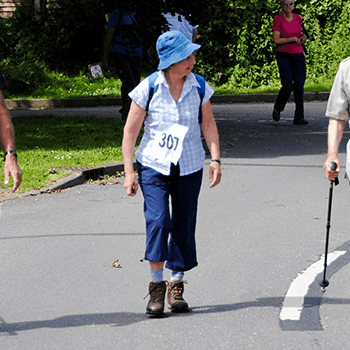 A range of clubs and activities provide support and help for members aged 3 months to 80+ years. It costs nearly £400,000 a year to run this vital facility. The Charity based in Cambridgeshire is on a mission to provide free transport for seriously ill children, adults and their families, helping them access the lifesaving healthcare they need. It takes £40,000 a year to provide these vital flights. In 2017 the Huw Johnson Club was selected as one of the supported charities. 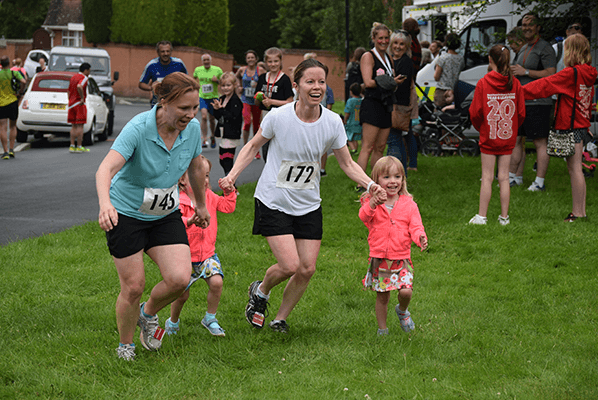 As a small, local charity, backing from the fun run event has had a significant impact on their activities. A donation of around £2,500 has allowed all members to take a trip to see Sister Act at the Rhodes Theatre Bishop’s Stortford and to enjoy a fun day out at Freeport Bowling Alley. Wheelchair accessible transport was also provided so that everyone was able to attend. The club has also organised several meals out, and is planning another theatre visit in the near future. The donation also helps in supporting on-going day-to-day expenses. Huw Johnson Club has been chosen again to be one of the three charities to benefit from the 2018 event. 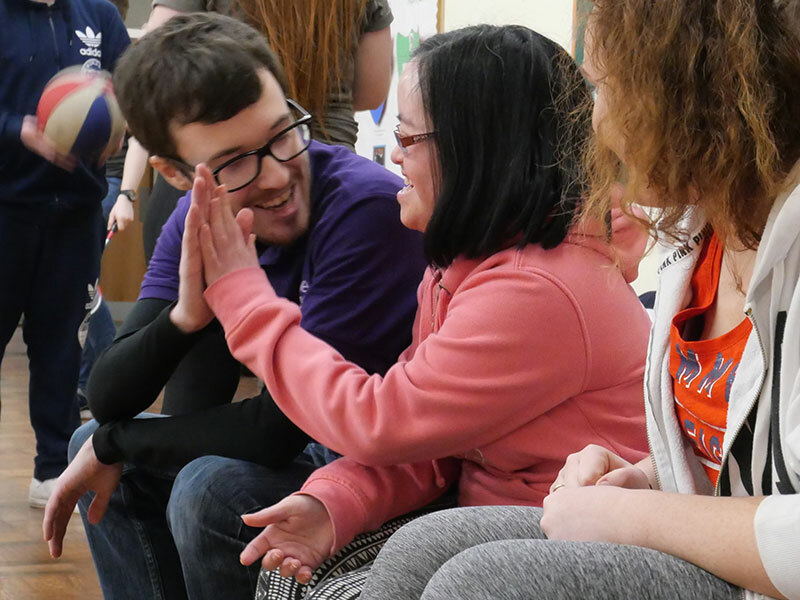 We aim to improve the lives of local people with learning disabilities, by reducing social isolation, increasing happiness and self-confidence and to offer respite and support to families. Driven by the needs of local people with learning disability we are passionate about improving lives. 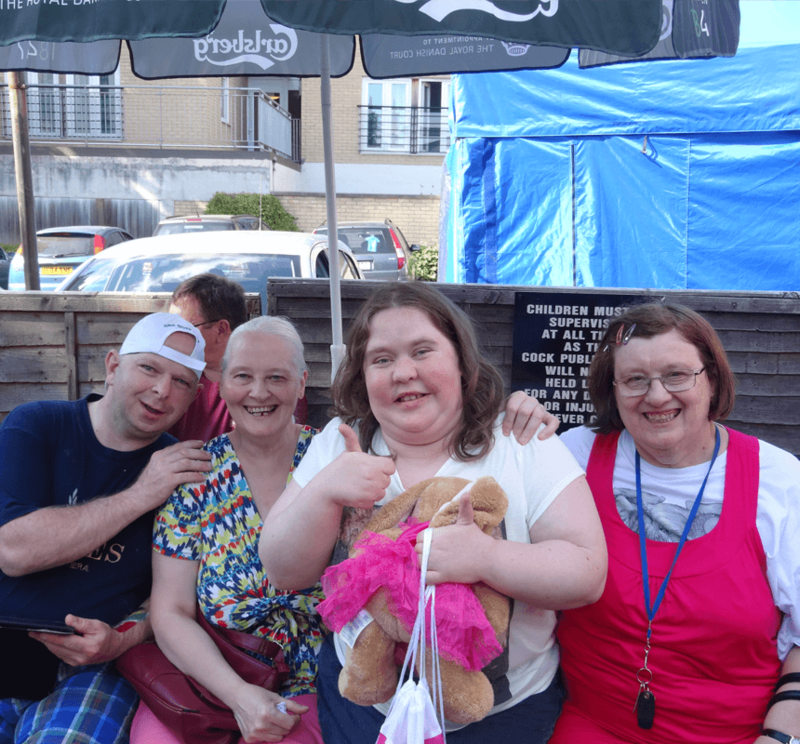 Through the provision of a variety of clubs and services, and a safe, stimulating fun environment, we help around 150 individuals and their families each year, encourage lifelong friendships, improve happiness, self-confidence and wellbeing and support local people with learning disabilities to live their lives to the full. Grove Cottage has been chosen again to be one of the three charities to benefit from the 2018 event. 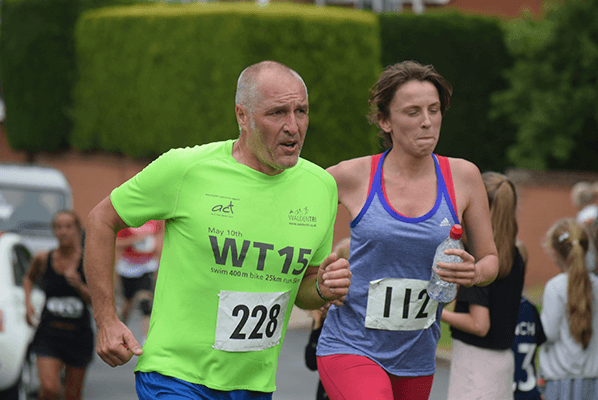 Can you help someone with cancer get to the lifesaving treatment they need? We’re fortunate enough to live in a country where most of our healthcare is free. But for many people who are seriously ill there’s a hidden cost – travelling to and from the places they need to go to access that healthcare. For example, families caring for a child with cancer, have to spend an average of £600 in additional expenses every month, and a big part of that goes on public transport costs, petrol, parking, or overnight stays away from home. In the East of England, on average, a child with cancer needs to travel over 100 miles just to get to treatment. Sometimes, a seriously ill child needs to travel three hours each way. For many families, the travel associated with endless check-ups, consultations, and surgeries is just too much on a low income – especially if the treatment takes place far away from where they live. 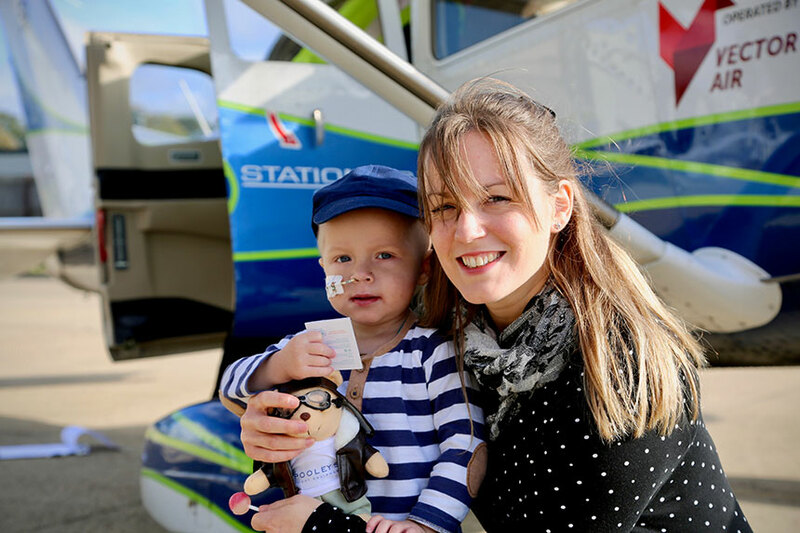 We offer children and adults with cancer, and other serious health conditions, the chance to fly for free to where they need to go. Most often we help them travel to medical appointments and treatment sessions, but we also offer non-medical journeys that support their wider health – like taking them to visit family they don’t get to see very often or going on a much- needed recreational trip and creating valuable memories. 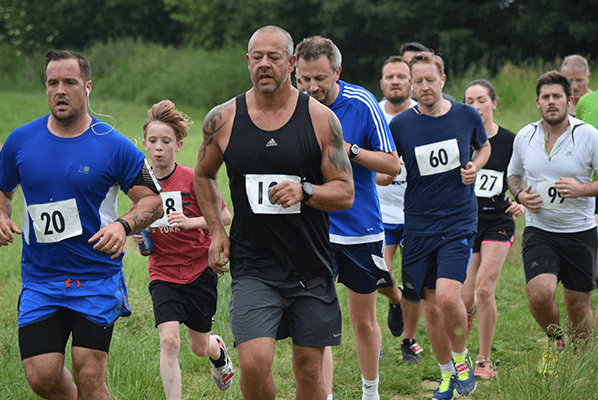 The Stansted 10k Fun Run and Walk covers 10 km (approx. 6 miles) over country and road. 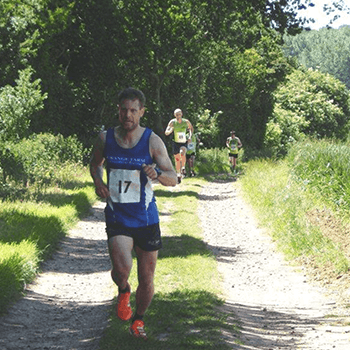 The event is highly organised with a measured route and kilometre markers. There are at least 3 water stations and the Red Cross will be on hand. 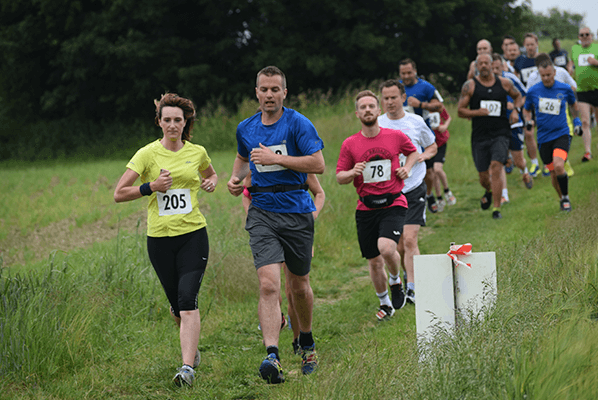 There will be marshals positioned along the route with mobile phones, as well as a ‘last man’ marshal bringing up the rear. All 10k runners are chipped so will receive an accurate time report when they cross the line. 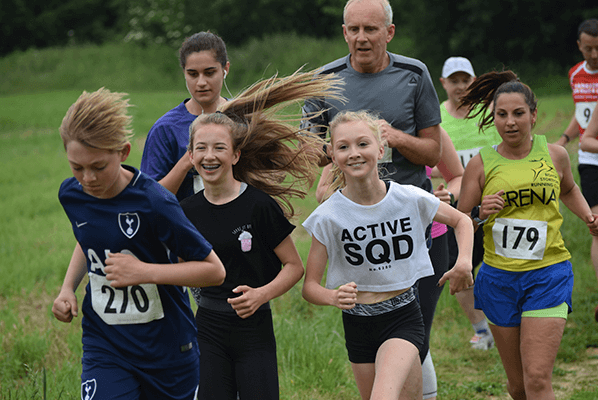 Results are available on the day and will be published on the website afterwards. 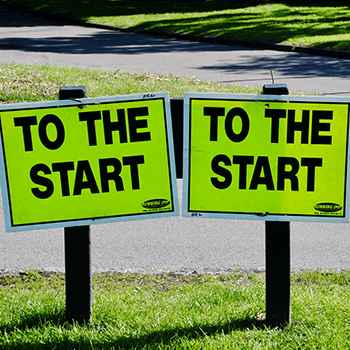 The first Stansted Fun Run and walk was held in 1986 as a part of the International Sport Aid event – The Race Against Time, organised by Bob Geldorf and others. 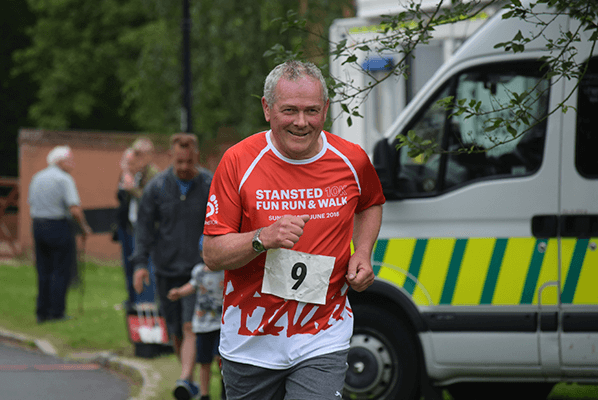 Stansted contributed its own part with what became the first Stansted 10k Fun Run and Walk at the suggestion of Jim Collins, still very much involved today. The event became an annual fixture in the Stansted Mountfitchet diary, later becoming bi-annual. In response to popular demand, the event has returned to its yearly occurrence and has grown into a true community event.